The Hook: You know how there are some movies that someone suggests watching and they don’t sound fascinating, but then you get a little curious so you decided to give it shot? So, yeah. This movie. I wasn’t sure what to expect, but then there are a lot of things out there you don’t know what to expect and you just jump, two feet in, you know? The US President is traveling in Air Force One from some place to another place. Same time this is going on, a small hunting community is going through their “rites of passage” tradition. A boy is becoming a man. And they do this by sending him out by himself to hunt down prey and bring it back to the tribe. Well, Air Force One is attacked and the President is ejected and finds himself in the same woods the boy is doing his hunting. The boy finds the President’s ejection pod and since there really isn’t anyone with the President and he has no idea where he’s at, the boy decides to drag him along. Of course things get interesting when the attackers are hunting down the President, in the forrest, when they didn’t expect it. The plot is certainly interesting. 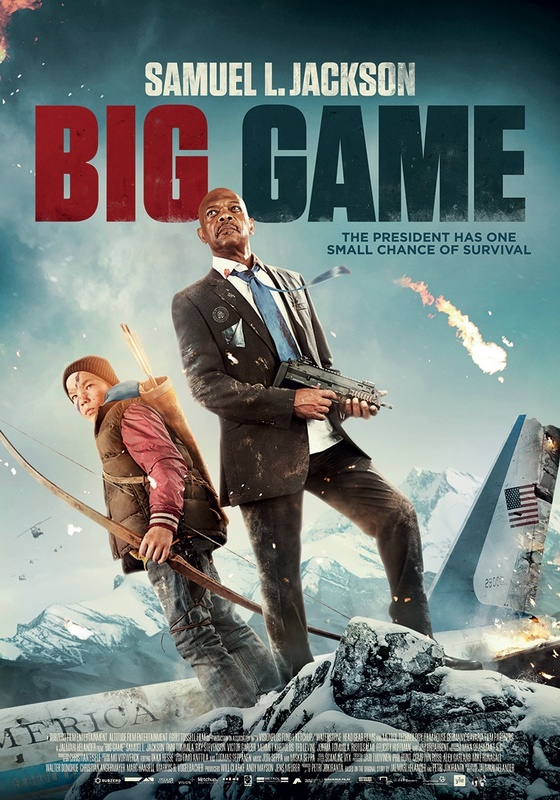 A boy-becoming-a-man is hunting, hoping to bring back something good so he can be excepted as a man, but ends up helping the President of the United States stay alive. I admit, I had a hard time processing the fact that a boy could actually bring the President to safety. I mean, really? Is that possible? But, my mind justified it as “it could happen.” There are traditions in which this type of “rites of passage” happen. I can imagine it happening in smaller, mountain communities. Far from “city-folk” and in these circumstances it was. And while a lot of things that happen may be written off as lucky, well … it’s not impossible. Plus, the other way I could justify it is home field advantage. They boy knows the woods. He may not be good at it, but still. It’s his home, you know? For being one of the main characters, Onni Tommila did a great job! He was, of course, acting along side Samuel L. Jackson, but he held his own. I would say that sometimes he came off as a bit stiff? but it wasn’t a distract and, as I said, he held his own. Ray Stevenson and Mehmet Kurtulus did a good job as bad guys. It really was these three to four characters that occupied the screen for a good 80% of the movie so I’ll leave it as that. There are other familiar faces as well and they all added to the depth of the story, but the main line really did focus on these four. Camera work, presentation, action sequences … all were done pretty good. They weren’t off the charts, but t was good work and enjoyable. And I feel the need to mention timing. The movie did move slow at some points, but it wasn’t enough to get me irritated. It was just enough to make me think it. I like this movie. I wouldn’t go so far as saying I love it, but I did enjoy it. It kept me entertainment for almost two hours. I don’t think I’ll add this to my library, though. It’s one of those movies that I’d stop to watch if I were channel surfing, but not enough to get me looking for it, you know?